The context rich system market is expected to grow at a CAGR of 17.39% between 2015 and 2020. The major reason for the growth in context rich systems is their growing applications in the e-commerce and marketing vertical. The advancements in context rich system applications, such as combination of ubiquitous and mobile computing technologies have increased the scope of the context rich system market for large applications in different sectors. Applications in smartphones lead the market since smartphones work as context rich systems using their sensors for sensing data and responding accordingly to users. The use of high-quality sensors in smartphones makes it more flexible for handling sophisticated mobile sensing tasks, mainly gesture sensing. Also, context rich system applications in smartphones are used for navigation and providing location=based services according to a user’s requirements. These factors would facilitate the growth of smartphone-based context rich system applications at a high CAGR. 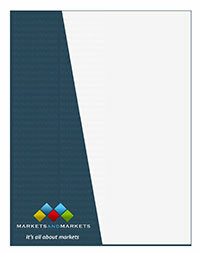 This report covers the said market in North America, Europe, Asia-Pacific, and Rest of the World (RoW). The market in North America is expected to grow at a high CAGR between 2015 and 2020. The high adoption rates of new technology, large number of market players, and the growing awareness for context rich applications are some of the important factors that have contributed to the growth of the context rich system market in the North American region. The key players in the ecosystem of context rich systems that are profiled in this report are Amazon.com, Inc. (U.S.), Apple, Inc. (U.S.), Google, Inc. (U.S.), Microsoft Corporation (U.S.), iGATE Corporation (U.S.), Baidu, Inc. (China), DS-IQ Inc. (U.S.), Flytxt (Netherlands), InMobi (Singapore) and Securonix (U.S.). This report includes the market statistics pertaining to component, device, vertical and geography along with their respective market size. The Porter’s five forces framework has been utilized along with the value chain analysis to provide an in-depth insight into the context rich system market. Major drivers, restraints, challenges, and opportunities for the context rich system market have been detailed in this report. Illustrative segmentation, analysis, and forecast for the market based on components, devices, verticals, and geography have been conducted to give an overall view of the context rich system market.